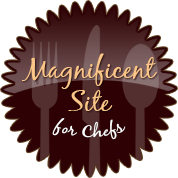 Hiroko’s Kitchen made it onto CulinaryPrograms.net’s recently completed list of 100 Magnificent Sites for Chefs. 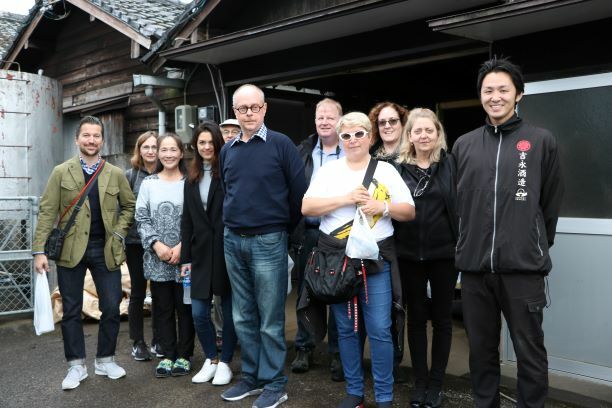 Here is a great opportunity for those non-Japanese chefs living abroad who want to commit 8 months to study the Japanese cuisine – seriously – here is a program: Japanese Cuisine Training Program, subsidized by the Ministry of Agriculture, Forestry and Fisheries, Japan. Note: If you quit the Program at any time during the Program Term you will be asked to pay your airfare, language course, culinary school, etc. Send e-mail to TOW (below) to request application form. Those who passed the first document screening will be notified to have a Skype interview. Final result will be announced by mid of May, 2019. Click above to see the complete information. 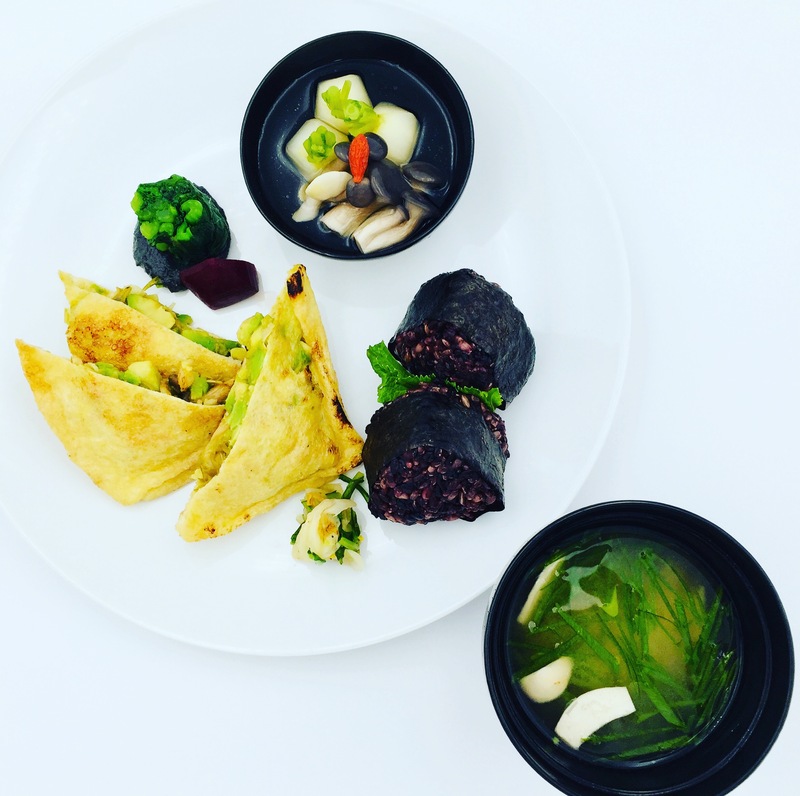 The theme of the 7th Japanese Culinary Arts Competition is SHOKU NO HANAYAGI. The objective of SHOKU NO HAYANAGI is the achievement of a beautiful and exciting presentation for each prepared dish. The harmonious display of the five colors, red, green, orange, white and black in the prepared food itself including its container is essential to achieving this goal. Chefs utilize these five basic colors to create presentations that appeal to the diner’s eye and entertain other senses to maximize the dining experience. The competition is conducted in two phases. 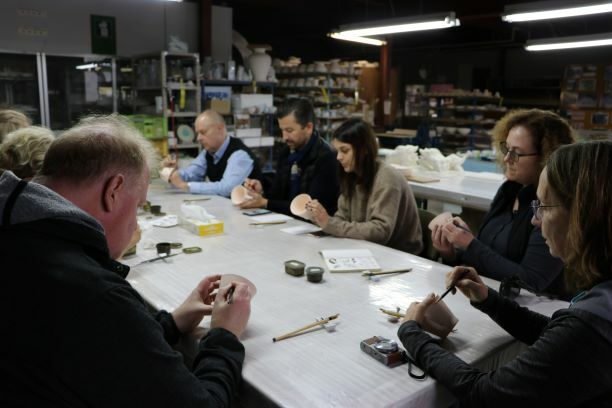 The contestants first compete at a regional level at one of the four world-wide regions outside Japan. The winners of the regional competitions are invited to Japan, expenses paid, for the final competition to be held in Kyoto. 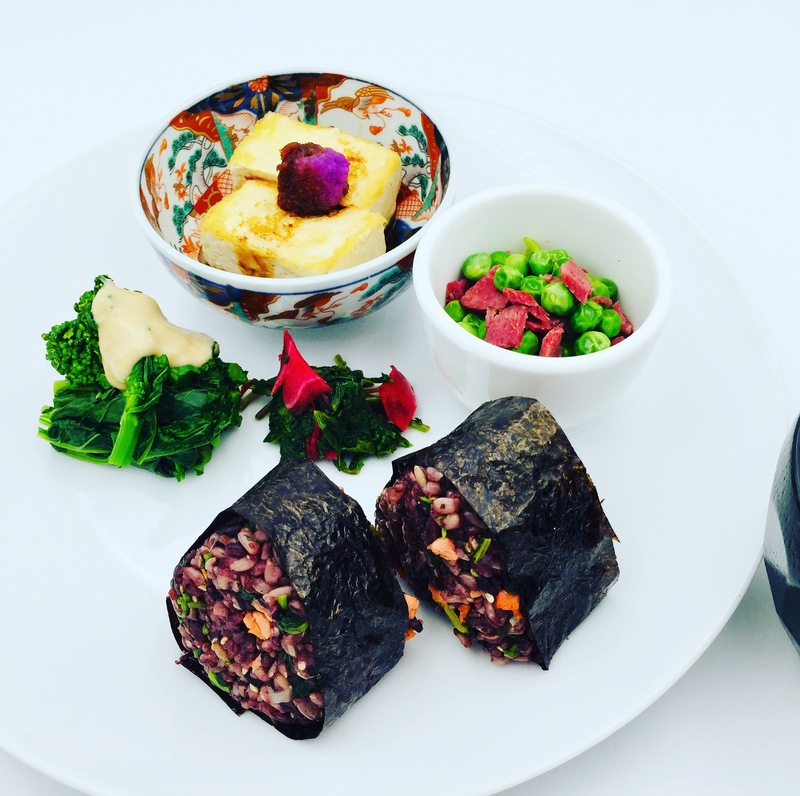 Create three recipes for four serving portions with focus on SHOKU NO HANAYAGI, including the use of the five basic colors to create exciting and appealing presentations. The dishes much be produced using three classical Japanese preparation techniques. Takimono (simmered dish), Yakimono (grilled dish), and Agemono (deep-fried dish). One dish from each category is required. 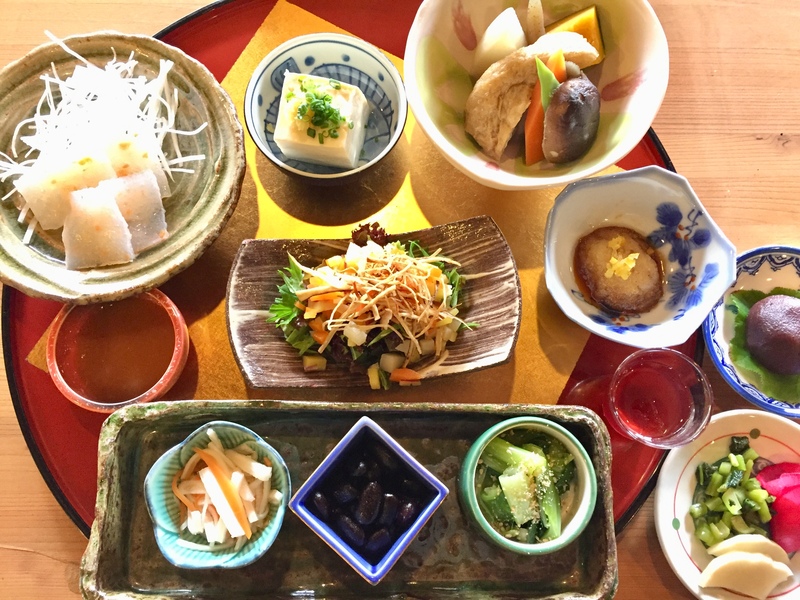 The total food cost for four portions of the three dishes should be 8,000 yen (around $73). Photos of the created dishes should be taken, selecting the best photo of each for submission. Visit https://www.culinary-academy.jp/jpn/compe/form/entry/ and register by filing in the ENTRY FORM. Submit three recipes with accompanying photos. The deadline of the submission is September 30, 2019. The screening process will select six contestants in North America Region. North America Regional Qualifying Competition is held on January 13, 2020 at Institute of Culinary Education, New York. Is there anyone out there who has cold feet, hands or body; anyone who desperately wants to warm up? 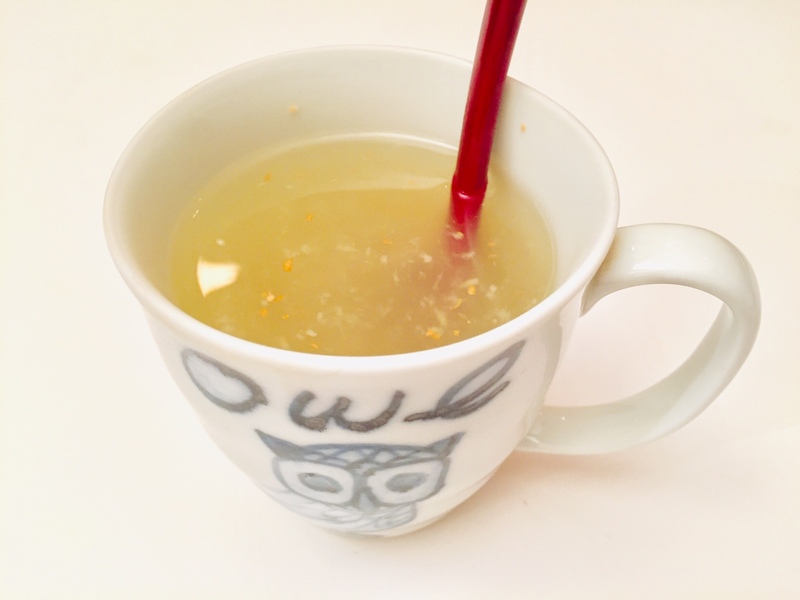 Make this simple hot drink. You need only three items. They are fresh ginger, honey and hot water. 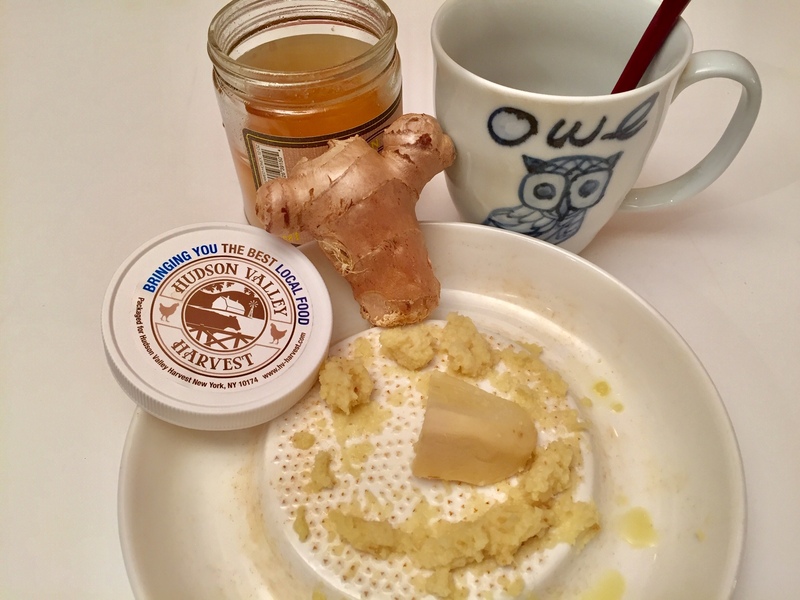 Grate 1 teaspoon of peeled ginger and add to your coffee or tea mug; add 1 teaspoon to 1 tablespoon of honey (if it is available get the locally produced honey); carefully pour in about 1 cup very hot water; stir the mixture; let it cool off a bit and then enjoy! Have this hot sip once or twice in the morning and perhaps before going to bed. It warms up your body and your mind. The very first time I ate gingerbread happened just several days ago on Christmas eve at our friend’s house. Growing up in Japan I had no connection to or affection for gingerbread even after living in New York City for 19 years. The taste of ginger which is so familiar in my Japanese cuisine actually tasted quite different in this new-for-me cake. Dried ginger powder as is used in gingerbread is not a Japanese kitchen staple, but the fresh rhizome certainly is. Ginger, shoga, is one of the most representative spice used in the Japanese kitchen throughout the year. Shoga has been cultivated in China since antiquity and was introduced to Japan around the 2nd or 3rd century AD. The Japanese climate is a good fit for growing shoga and the cultivation of the rhizome began in the 7th century. In the Japanese kitchen shoga is always used fresh. To cook strongly flavored fish or meat we add sliced shoga to the pot. Shoga cuts off any overly strong flavors of the ingredients and produces an appealing and balanced flavor in the prepared dish. Shoga in Japan is used fresh – grated, finely julienned, sliced thin or pickled – to become a garnish for prepared dishes. It may be served as a condiment with a prepared dish. The fresh fragrance and spiciness of the rhizome awakens and entertains diners’ senses and is a very characteristic feature of the Japanese meal. How was ginger chosen as the primary flavor in the cake or cookie that is called “gingerbread”? Ginger root traveled from China to Europe via the Silk Road during Middle Age giving the spice great value. Sarah Nelson’s Grasmere Gingerbread blog says that, “The legend of the Gingerbread Man has a long-established provenance in mainland Europe. It is thought to have first appeared at the court of Queen Elizabeth 1st who presented courtiers with gingerbread likeness of themselves at Christmas.” Sara also mentions that, “For the Chinese and Romans ginger was a symbol of wealth and fertility.” These may be some of the reasons why gingerbread came into being. Ginger has long been known in China, India and Arab countries as a traditional herbal medicine. Those medicinal-use teachings were also introduced to Japan. We use ginger in Japanese preparations not just to awaken and entertains the diners’ senses, because of ginger’s many medicinal properties. One of them is that it is said to warm our bodies including our intestines and organs. Ginger also aids digestion, and as you may have heard, ginger calms nausea and vomiting. In the Japanese kitchen ginger is also known for its antiseptic and antibacterial properties. 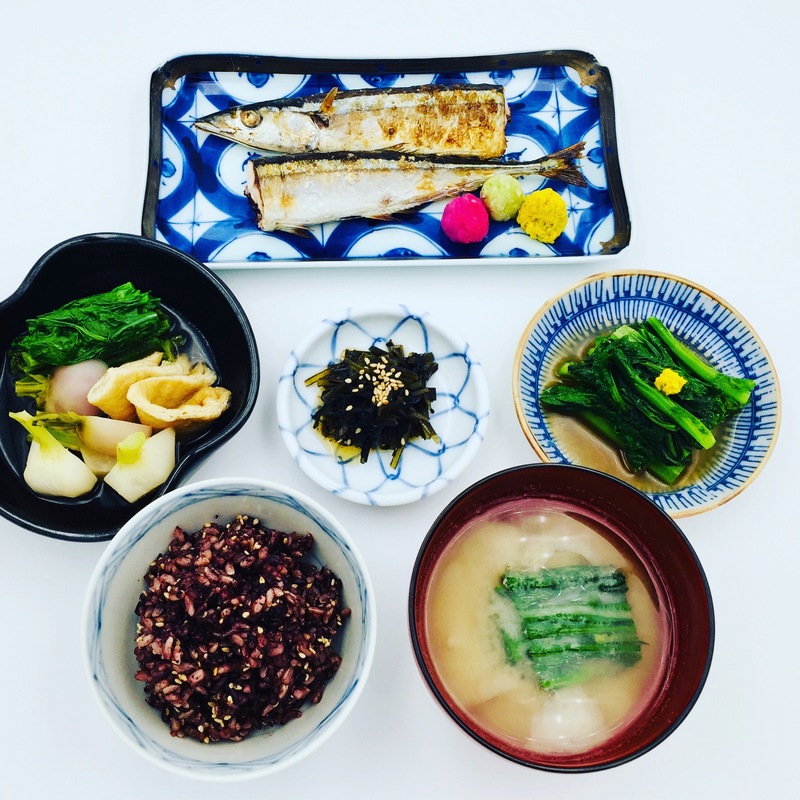 Grated ginger always accompanies oily fish sashimi such as aji (horse mackerel), sanma (Pacific pike) and iwashi (sardines) because these delicious, but oily fish are known to spoil rather quickly. The grated ginger helps to deal with any bacteria that might be multiplying in these fish. Next year I will introduce you to more information about medicinal foods in the Japanese culinary tradition. Until then, let’s eat local and seasonal to maintain the health of both human beings and the earth. And no processed food by any means. Eat what nature gives us, not what the factory supplies. Happy New Year!!! 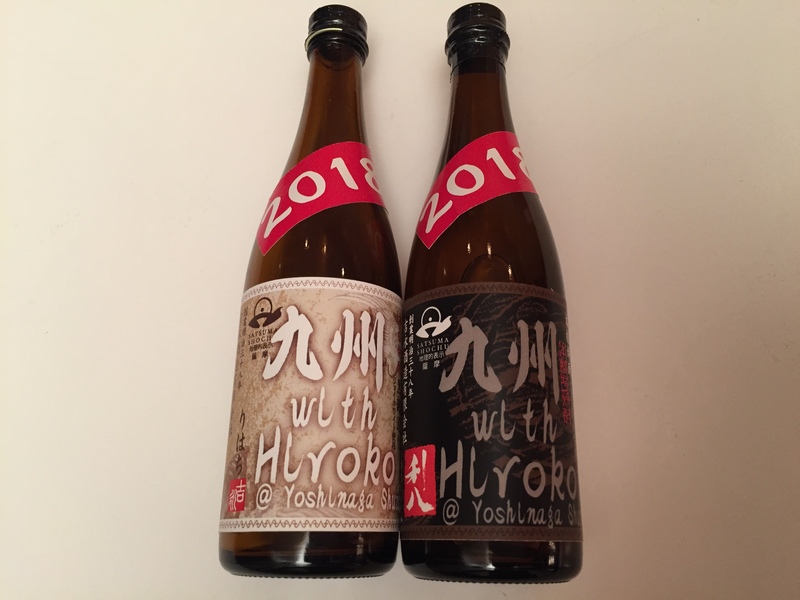 Dozo Yoi-Otoshi-O! and Akemashite-Omedeto!!! You may have tried shio-koji recipe which I have posted on June 12, 2012. I have been making it in this way until one day I found the fantastic short-cut way of making of this version from a Japanese cookbook written by Takako Nakamura. She has developed a super quick shio-koji recipe, which I call it Super-quick Shio-koji. Super-quick Shio-koji takes only 1 hour to make; the old technique takes, as you have done it, for 10 days during winter time. It takes too long. So, here is how you make the Super-quick version. You need an electric rice cooker. I use Zojirushi brand rice cooker, which is the best among many others. You need 1 tub of koji rice (576g), the same weight of lukewarm water (158F) and 190g sea salt. Transfer the koji rice into a large bowl; toss them well with both hands to loosen them; add the lukewarm water to the koji rice and transfer them to the rice cooker bowl; set up the rice cooker at keep-warm function and leave the koji rice and water mixture for about 1 hour; transfer the koji rice and water mixture (it is no longer watery) to a clean bowl and mix with the salt. It is ready to use but you may rest it for a couple of days in the refrigerator for matured flavor. You may process the Super-quick Shio-koji in a food processor to make it into a smooth paste. Transfer it in a clean jar with a tight-fitting lid and keep it refrigerated. You can enjoy it about 3 months. Super-quick shio-koji has mellow sweeter flavor than the conventional shio-koji. It is very handy; it keeps any meat and chicken cooked with it moist, juicy and flavorful. The pork on the photo is painted with Super-quick Shio-koji and dried herbs one hour before cooking, and baked in the oven; the chicken on the photo is painted with Super-quick Shio-koji, maple syrup and cayenne pepper one hour before cooking, and baked in the oven. If you complain that you have no time to make tasty dinner, try the Super-quick Shio-koji baked chicken or pork. An important message: You pair the delicious baked Super-quick Shio-koji chicken or pork with seasonal vegetables. No tomato, bell peppers nor cucumber (even though you can purchase them at supermarket), please. These summer vegetables cool our body and not fit to our winter consumption. EAT LOCAL & SEASONAL and COOK OUR MEALS IN OUR OWN KITCHEN. 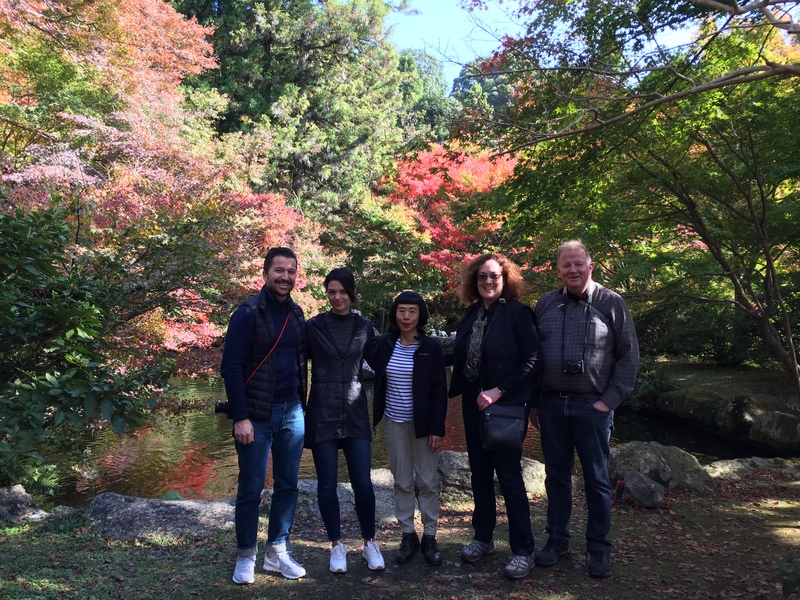 Kyushu with Hiroko 2018 with full 9 participants finished a grand tour with great satisfaction. Please click the below link to see the collection of photos and video. 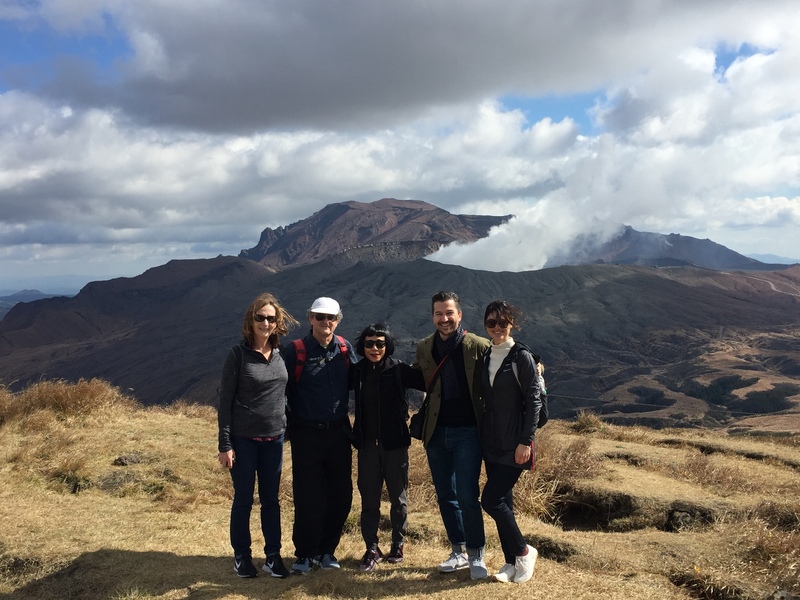 Activities varied from a special Buddhism service in Kunisaki Peninsula where they this year celebrates 1300th year Rokugo Manzan religious culture, to a Chinese cooking class, plunging in deep Onsen culture everywhere we went, a hike at Mt. Aso, a small boat ride in Kuma River, hiking to one of the most beautiful crater lakes in Kirishima, visits to katsuobushi (dried skipjack tuna) factory and shochu brewery, soaking in the hot sand bath, staying at Christian history-studded Amakusa island, observing how sea salt is made, engaging in art activity, two boat rides between the islands, enjoying a very special Temple Fucha Cuisine at Kofukuji temple, exploring the Dejima (Dutch trading post for 250 years) museum, learning atomic bomb history and riding on Shinkansen high-speed train and local trains. Along with all these experiences we ate through diverse cuisine at breakfast, lunch and dinner on our way. All accomplished in 12 days. 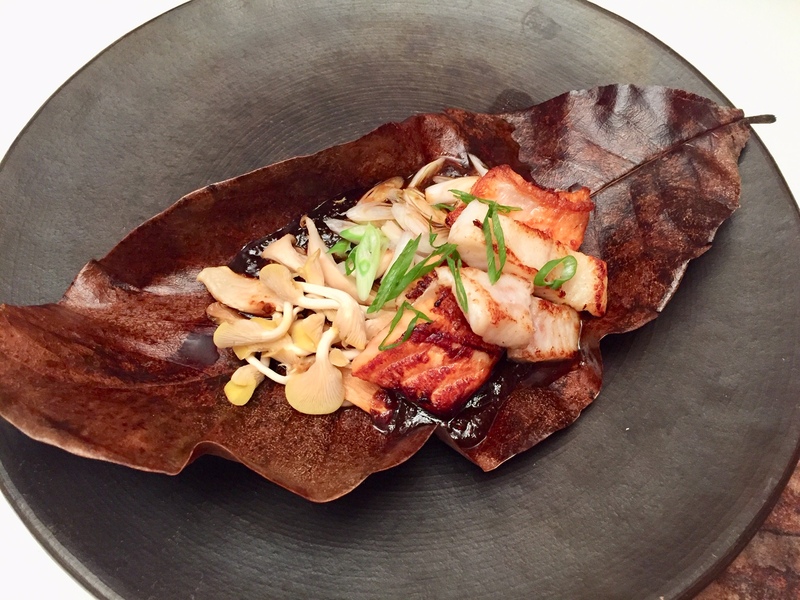 Hoba-yaki is a dish, in which scallion slices and mushrooms are cooked together over a charcoal fire on the bed of flavored, simple miso sauce placed that are placed on a dried hoba (magnolia) leaf. In the past in the mountainous, rural areas where not many cooking tools were available, this preparation was born. The leaf was used as a cooking vessel. Since the leaf has antiseptic property, the use of leaf in the kitchen was win-win situation. Of course, the leaf must be far enough from the charcoal so that it does not burn or ignite. 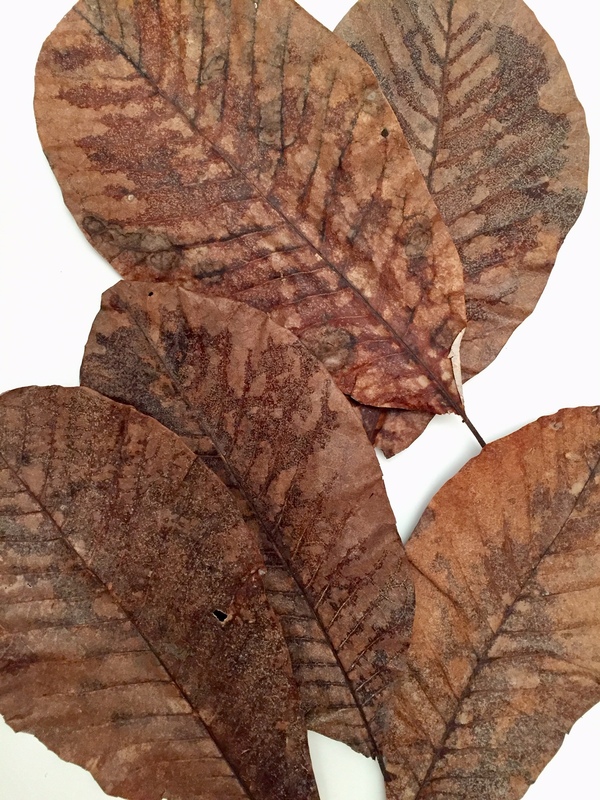 Anyway, dried hoba leaf is very arty. Times have changed. 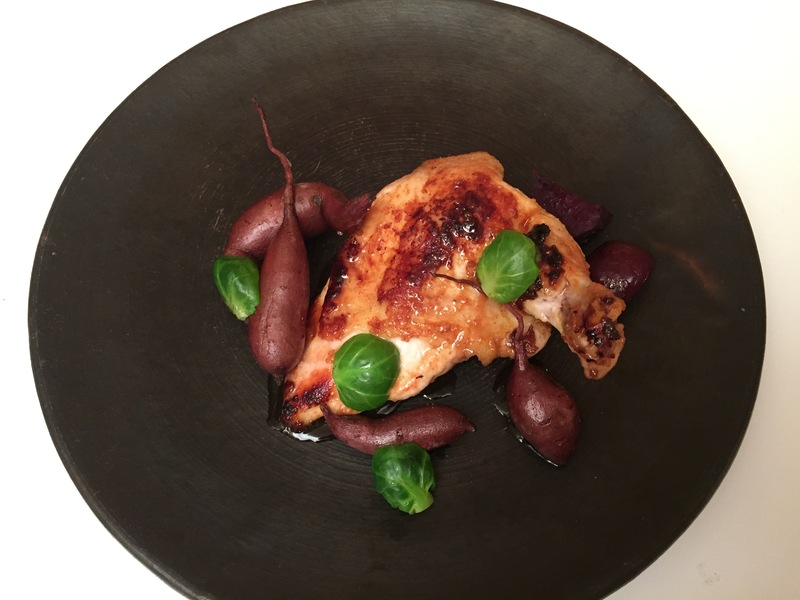 Today artistic presentations using hoba leves can be very attractive for diners, so this once-humble dish has adopted by high-end restaurant kitchens. 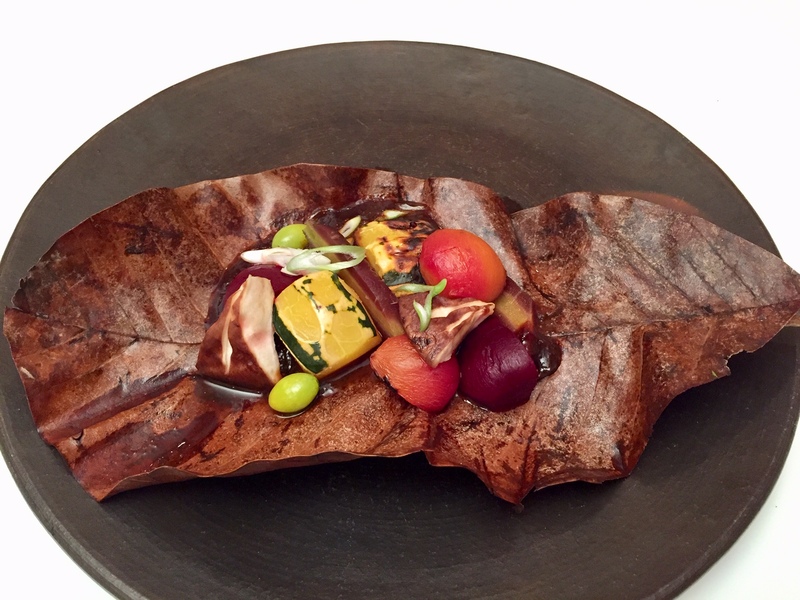 At these venues’ chefs devise more creative version of the sauces and use expensive and varied ingredients such as the combination of wagyu beef and mushrooms, seasonal seafood with vegetables and briefly seared chicken with scallions. 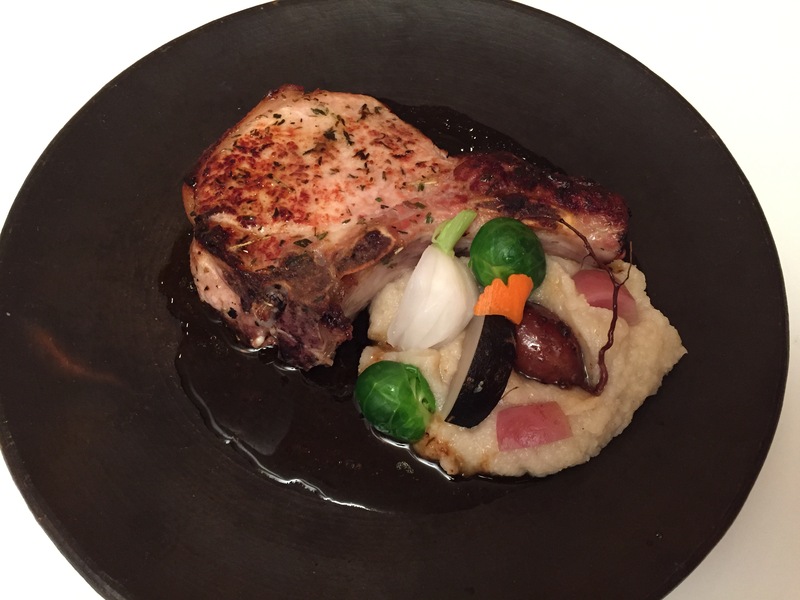 The resulting dishes are sensational to see and are delicious. If you are using the hoba leaves, please do not forget to soak them in water before using in order to prevent burning and ignition. Recently I found a fresh, very attractive, deep-green fig leaf at Union Square Farmers’ Market in NYC. The leave has five large pointed lobes and resembles a giant maple leaf. The vendor’s sign says that the leaf has anti-diabetic property. After carrying them back to my kitchen, I washed them and divided them into two piles; one for fresh use and the other for drying. I used the fresh leaf to present cooked food items on top of the leaves. Does this configuration contribute to our health, especially the problem of diabetes? I can’t say that I really have any further information about this. One-week dried leaves are sitting on the kitchen counter. They will have to wait for my return from Japan at the end of this month. I am leaving for Japan tomorrow, July 7, to lead my tour, Kyushu with Hiroko 2018. So at that point they will be 5 weeks-dried leaves. 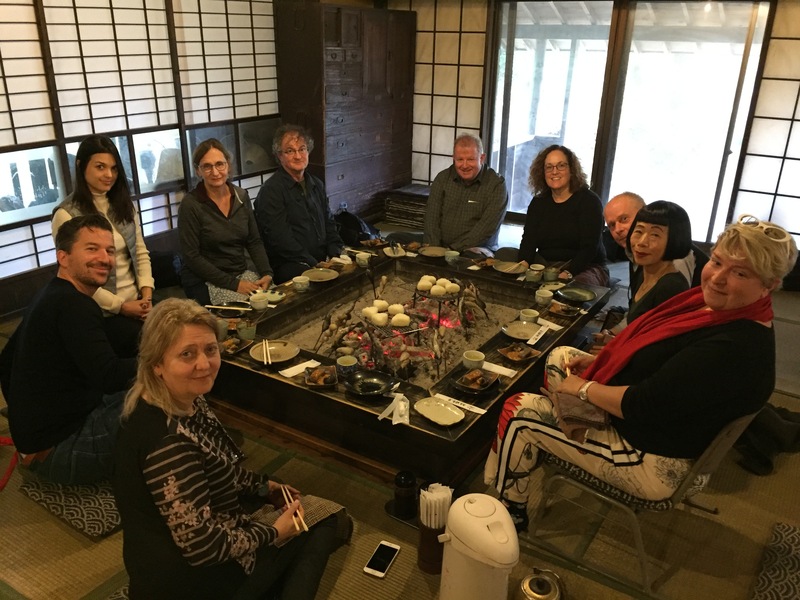 Please follow the tour on Instagram; and you will enjoy what you see and you may want to join me with others for Kyushu with Hiroko 2019! 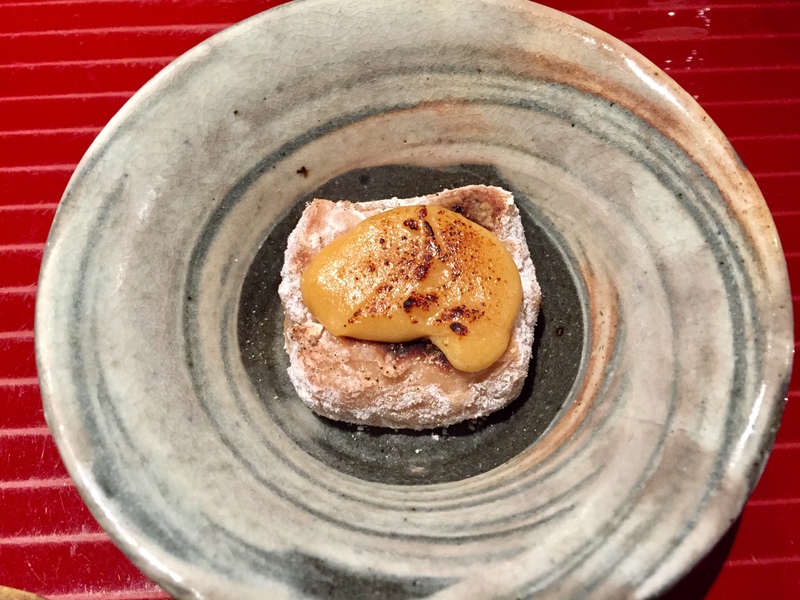 There is a Japanese technique which may be new to you in this recipe. Taking this special step is necessary in order to produce clean and delicious flavor in the prepared dish. The technique is called Shimofuri, which literally means ‘frost-covering’. In this technique we first blanch scaled and cleaned fish in hot water in a pot until the surface turns white resembling frost. Then carefully cool and rinse the fish in a bowl of cold water with tap water running into it. By doing this fish sheds off-flavors and becomes clean allowing the simmering broth in the next process to remain clean, clear and delicious. After Shimofuri we place the fish in a shallow and large pot in which fish fillets can be placed without overlapping. We simmer the fish in a mixture of dashi, kelp stock or water, sake and mirin. This mixture barely covers the fish. 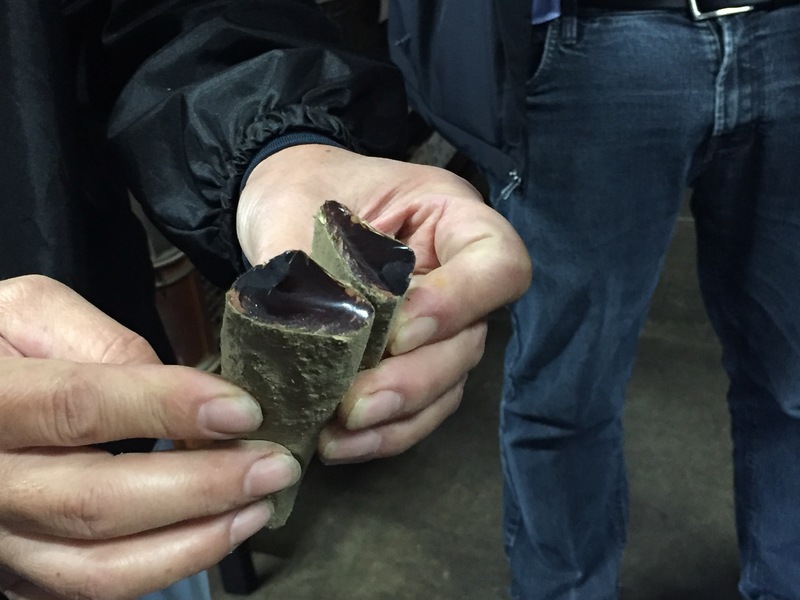 The proportion of dashi/kelp stock, sake and mirin is 3:1:1. Add few slices of peeled ginger to the pot to enhance the flavor of the fish. 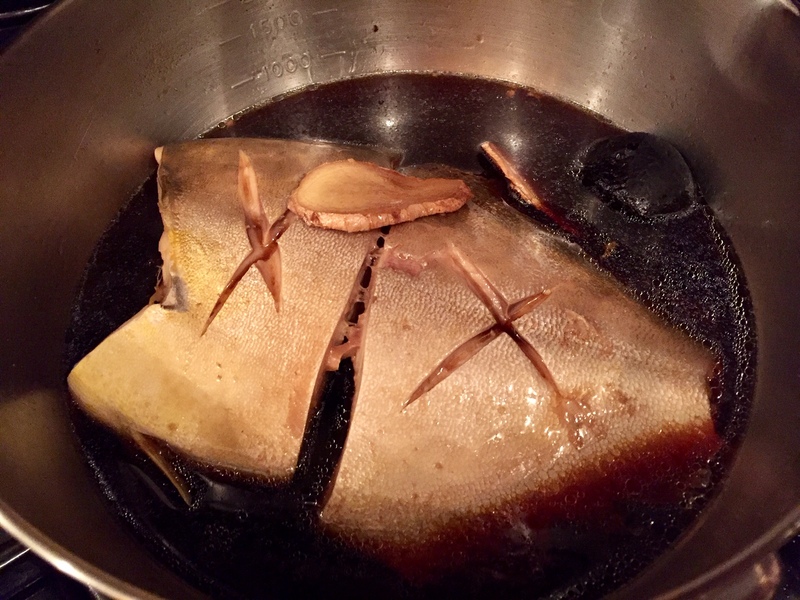 After cooking the fish about 10 minutes, covered with a drop lid (if you do not own a Japanese wooden drop lid, use a disc of parchment paper cut to just fit into the pot on top of the simmering ingredients), about 10 minutes, add the shoyu in the same quantity as the mirin. Cook until the cooking liquid is reduced by half. The cooking time varies depending on the size of the fish in the pot usually about 10 minutes. Serve the fish with a portion of the cooking liquid. If karei (flounder) is not available, use salmon steak (with bones). If you can get wild-caught pompano, try it with this meaty, delicious fish. 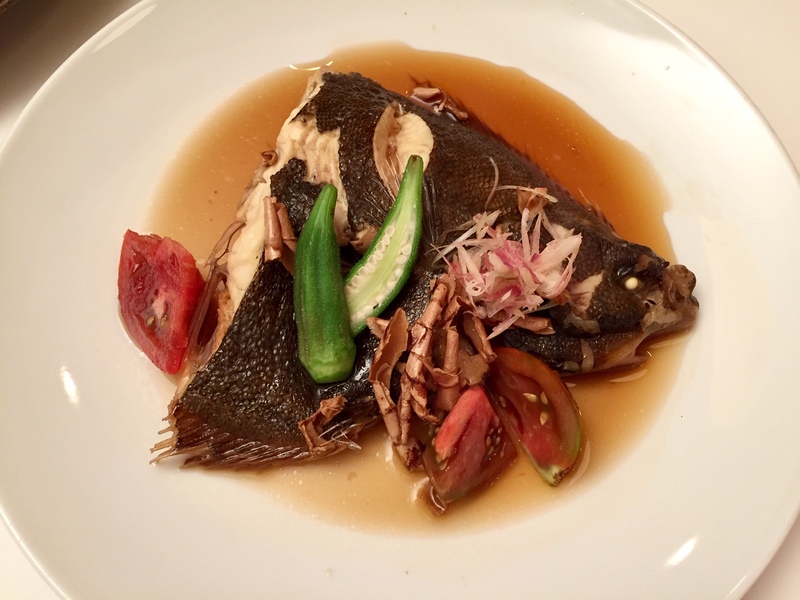 Nizakana is a wonderful fish dish enjoyed by everyone during the colder seasons. KAREI OR HIRAME? FLUKE OR FLOUNDER? How to distinguish a flounder from a fluke? Both are bottom-feeding flat fish. Both have two eyes on the upper side of their flat and thin body. But their flavor and texture are different. 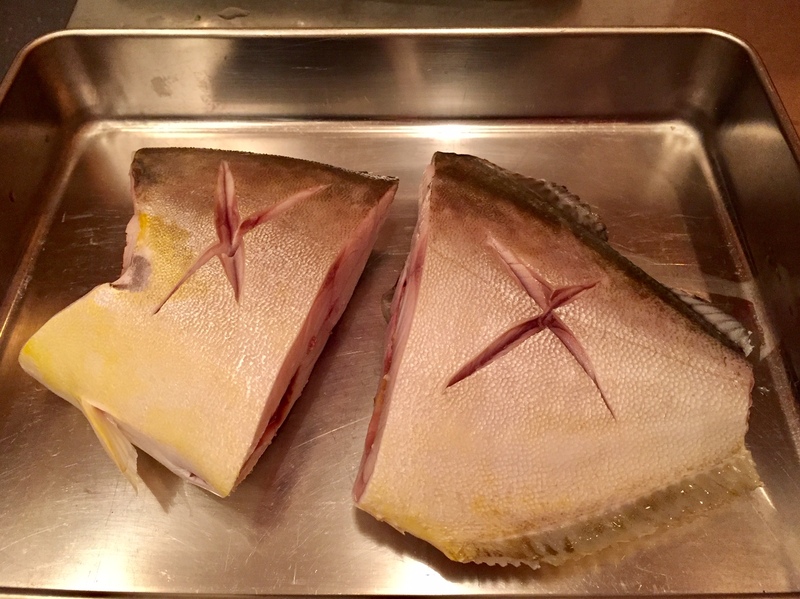 On one recent early morning at the Blue Moon fish monger at the Tribeca Framers’ Market in NYC a lady customer and a young sales person were in conversation about the difference of these two bottom-feeding fish. The lady insisted that they are the same fish; the sales person repeated that they are different fish. Because of their intense and heated chat, I did not join the conversation. But after she left, I snatched the topic of the morning’s heated conversation – a beautiful 5-pound fluke and a small flounder – and brought them back to my kitchen. “Hidari hirame; migi karei”; this is what my mother taught me about how to distinguish between these flat fish based on their appearance. It literally means that when you place these two fish with their eyes looking up and with their belly side facing you, the head of the fluke, hirame (also called “summer flounder” in America) is on the left side, and the head of the flounder, karei (also called a “winter flounder” in America) is on the right side. Summer and winter name added to the flounder is confusing. 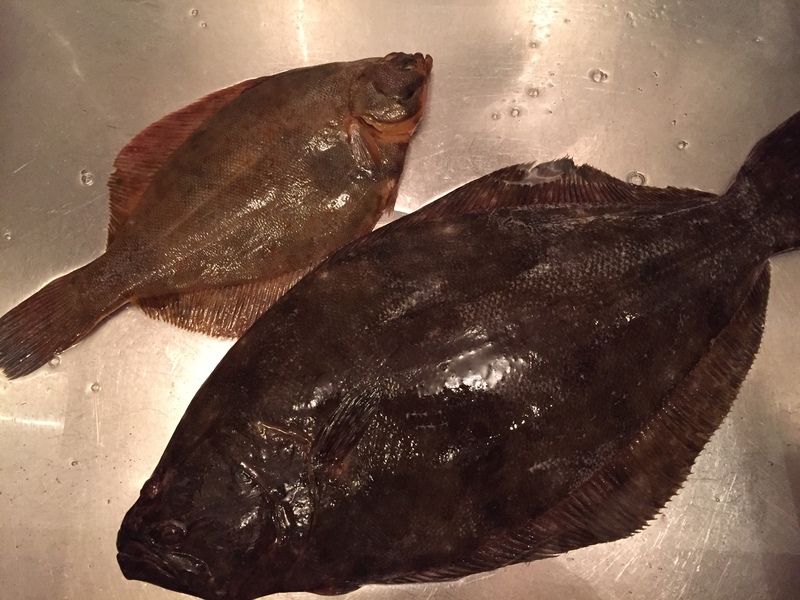 July through February is the season of enjoying fluke. When it comes to karei, the best tasty season is February and March. There is another way to tell the difference. Karei (flounder) has brown skin color and has very small head and mouth. Hirame (fluke) has a large toothy mouth. Karei is a watery fish, so is suited for salt-drying and grilling, or it may be immersed in flavored broth. 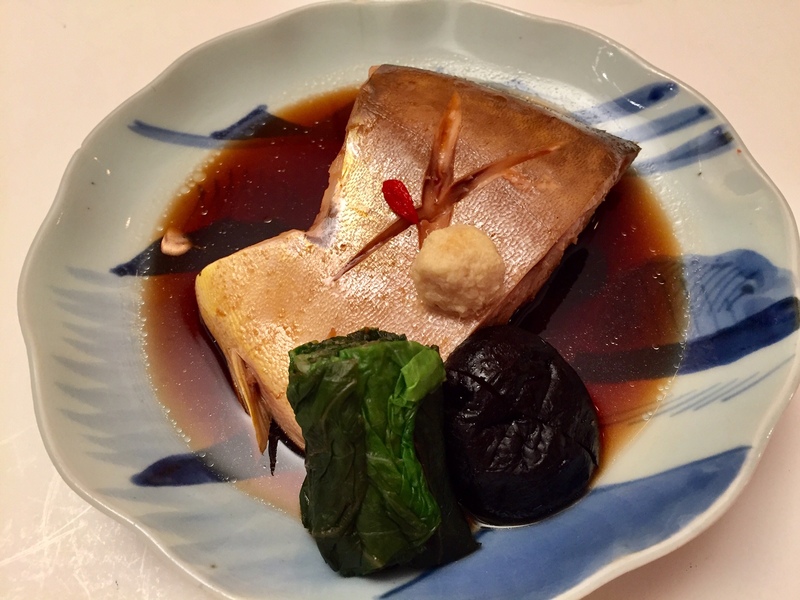 Karei is the basis one of the most favorite nizakana (simmered fish dish) in Japan. Hirame’s (fluke) season comes in autumn through winter. Cold water firms up the muscle meat of the fish and fish develops slight but pleasant oiliness. The most popular hirame dish is usuzukuri. In this dish sashimi quality fish is sliced paper thin and is served with ponzu sauce along with condiments. Condiments may be thinly sliced asatsuki green onion (chive-like green onion) and grated daikon radish mixed with red chile pepper powder. Because of the addition of the red chile pepper powder, the grated daikon acquires a pretty red color. This reminds us of momiji (the colorful red maple leaves of late autumn) and is given the name momiji-oroshi (grated daikon in red maple color). Seasonal inspiration is always present in the Japanese kitchen. The next post is a recipe for simmered Karei (flounder). I hope you will enjoy this new way of preparing fish. The color of this azuki gohan displays a mellow but very elegant red hue. 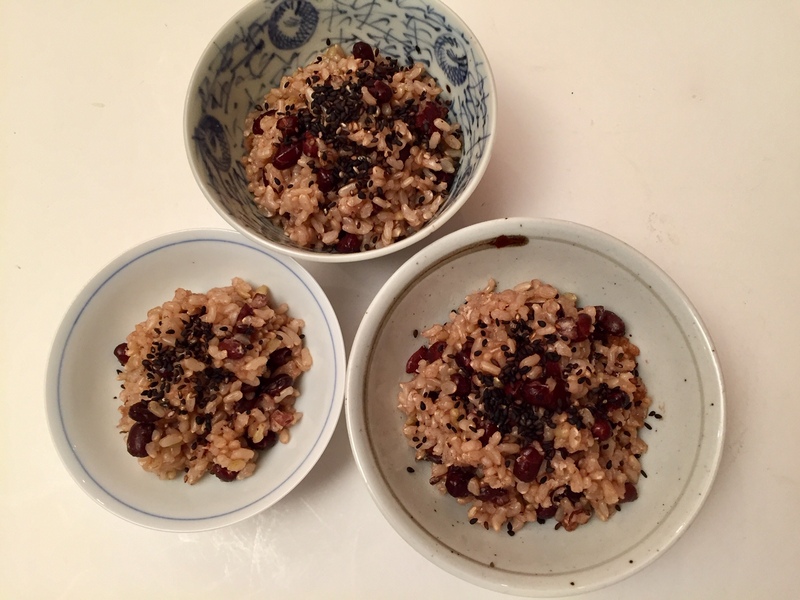 It consists of rice cooked with azuki (sometimes spelled “adzuki”) beans. Because of its attractive color azuki gohan is considered a good luck meal item and is served at auspicious occasions in Japan. Azuki beans are rich in minerals including magnesium, potassium, zinc and iron. They are also rich in protein, B vitamins and soluble dietary fibers. It is clinically proven that azuki has antioxidant, anti-inflammatory and anti-cancer property. With this information I am sure that you will want to make this simple, elegant, healthy and delicious rice dish in your kitchen. Here is the recipe. I always use dry azuki beans for this dish, because already cooked canned azuki beans that I find at supermarkets are cooked a bit too tender. If cooking the dry beans is too much labor for you, then find and use the already cooked canned and unflavored azuki beans. If you are doing from scratch with dried beans, rinse the beans in plenty of water in a large bowl. Change the water several times. Drain the beans and place them in a large pot along with water which is 5 times more volume than that of the beans. Soak the beans overnight. Remove the beans and soaking water from the refrigerator and transfer them to the pot. Place the pot over medium heat and bring to a boil. Then, cook about 5 minutes. Drain the beans and rinse them under tap water. Return the beans to the pot and add new water. Bring it to a simmer over medium heat and then turn to low heat, cook the beans until they are tender, but are on the firmer side. Cooking time varies depending on the dry beans you have selected, but cooking time is in the range of 1 to 2 hours. During cooking check the water level several times and add additional water to the pot so that the beans are always well submerged under the cooking liquid. Turn off the heat and drain the beans, reserving the bean-cooking liquid. When I prepare this type of mixed rice, takikomi-gohan, I always use a donabe (earthenware) pot. If you do not own a donabe pot, you can prepare the dish in a rice cooker. And if you do not have a rice cooker, use a deep pot, rather than a shallow and large one. The pot must have a tight-fitting lid. 4 cups polished rice, rinsed 3 to 4 times changing water; soak the rice in the in bean-cooking water for half an hour or more to color the rice. Drain the rice and dry for 20 minutes, reserving the bean-cooking water. Add the rinsed and drained rice to the donabe pot, rice cooker pot or regular pot. With your hand, level the top of the rice. Add the cooked beans to the pot and cover the rice evenly with the beans. Add the azuki bean-cooking liquid and salt. Cover the pot with the fitting lid and cook as follows for a donabe cooking pot. Put the pot over very high heat and immediately set your timer for 15 minutes; after 3 to 4 minutes of cooking you will begin to see steam coming out from the little hole on the earthenware lid. Turn the heat to very low and cook until the timer beeps. Then, turn the heat to very high again and count to 60. Turn off the heat completely. You will see a strong flow of steam escaping from the little hole in the lid. After 2 minutes or so, the steam will subside. After further 5 minutes of resting, remove the lid from the pot and with a spatula stir the rice gently and thoroughly so that the beans are evenly distributed through the rice. Divide the rice into 5 rice bowls. Sprinkle the black sesame seeds and salt mixture over the rice. I am leaving for Japan tomorrow, July 7, to lead my tour, Kyushu with Hiroko 2018. So at that point they will be 5 weeks-dried leaves. 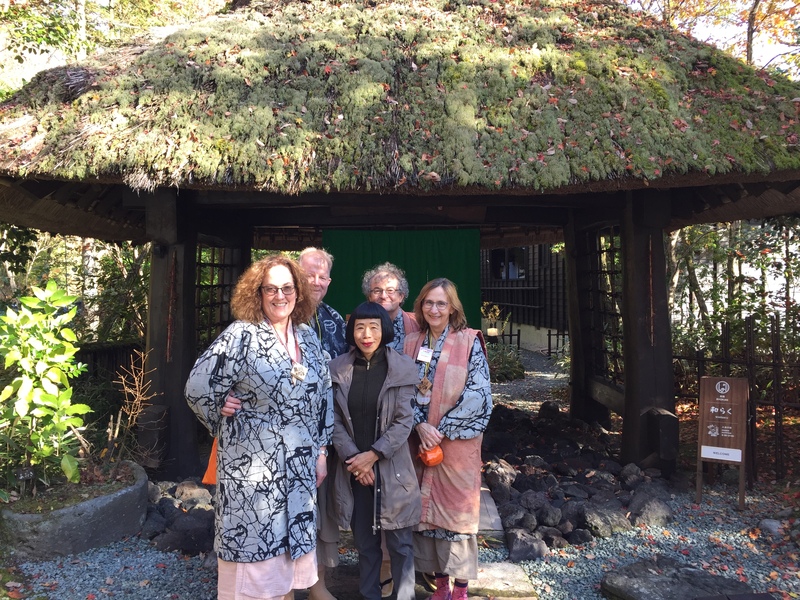 Please follow the tour on Instagram; and you will enjoy what you see and you may want to join me with others for Kyushu with Hiroko 2019!